Not Just a Wheelchair. A Member of the Team. Welcome to the Most Intuitive Wheelchair You Have Seen. Introducing the Index System. An intuitive adjustment system designed to provide accurate, easy growth options. A system so easy to adjust it promotes proper positioning and wheel access so your child gains the active independence and mobility they want. You will notice that on the frame of the Clik you have "dimples". These are there to optimize the adjustment so it's more time effective and easier because there is no longer any guess work involved. We have precisely aligned the system so you won't have to. You are only a Clik away from just right. Evolving and growing with your Child. Seat height, width, depth, CG, caster wing position, seat upholstery, and seat pans...the most built in adjustment available. With all the possibilities, meeting kids needs has never been so easy. Give your child the room they need. The Clik Offset frame allows more room for abducted position, AFO's and braces while facilitating proper foot positioning. Hybrid design does not increase frame length or compromising seat support. Being able to move yourself in space is an essential phase of neurodevelopment. The challenge is maintaining security and stability. Our new adjustable dynamic 5th wheel, that allows you to adjust both the range and spring rate, makes it possible. Whether setup in mid-wheel for the smallest riders or to help promote and teach the balance and wheeling skills that encourage confidence to overcome everyday obstacles and terrain. Be Dynamic. 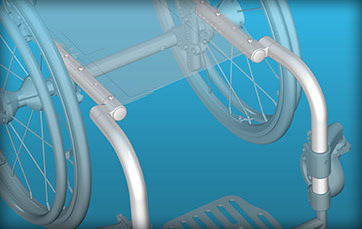 A unique design that incorporates the arm and backrest into one system, with independent angle adjustability. The integrated design allows for easy growth because the whole system moves together. With independent angle adjustment you have the control over placement and angle position so you are able to achieve the ideal backrest angle and arm position. Whether it's for mom, dad, sister, brother, friend or caregiver the adjustable height Ergo stroller handle is the ergonomic choice for all. Adjustable in height for the most comfortable access to a stroller handle you will experience! Our new seatbelt clamp allows for 100% infinite adjustment. Ensure proper positioning by achieving the perfect seatbelt angle. 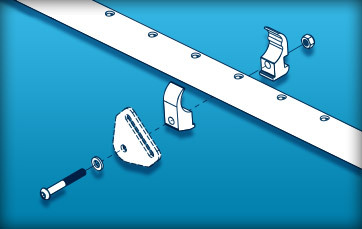 With the new 1-1/8" tubing you will find it easier to fit aftermarket seating and positioning systems. Not only on the seat frame but also the backrest because Clik comes standard with an Adjustable Height rigidizer bar. 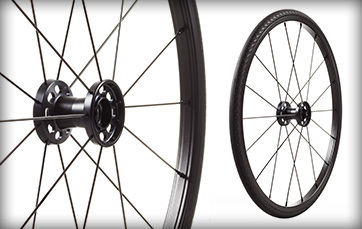 Eight NEW spoke guard designs offer a few more ways to personalize your Clik! View all designs in the "Options" tab above. Colors are not stopping at the frame! Even your wheels can be fun! At Ki we realize that reimbursement scenarios differ from client to client. This is why we offer two different versions of Clik; the XP and XPe. It is the same chair, with the same options, features and benefits. What's the difference? The XP includes a one-time free growth kit in the base price. The XPe has a lower base, without the growth kit included. Saving you valuable time by ensuring you have the option to choose what works for your client, each and every-time. 12”x12” Frame w/ Adjustable Height Back-12”,4” Poly Casters, Angle Adj. Footplate and Standard Upholstery. Armrest and Rear Wheels Removed. Only on Rogue XP, Clik, Flip & Liberty FT!